At the Australian Carob Co we have been working hard for the past 12 years growing and nurturing 6,000 carob trees. We have planted naturally sweet tasting varieties which have proven a real hit when it comes to taste, the natural sweetness and delicious flavour of our carob products are very obvious in the whole product range: Raw Carob Powder, Roasted Carob Powder, Raw Carob Kibble, Raw Carob Pods, Carob Syrup and Carob Buttons. Normally Carob is planted for the seed which is processed to make emulsifier and the outer pod is not important but we have worked at trying to achieve a great tasting natural carob product by selecting varieties of carob trees based on taste. Product uses include: Raw carob powder being used in drinks, an added flavour in raw foods, on breakfast cereals, in yoghurt, in cooking and really anything you can imagine. Roasted carob powder is great in cooking, as a cocoa substitute and also like the raw carob powder can be used in anything you can imagine. Carob kibble is a great natural healthy snack and enjoyed in it’s natural form. Carob pods are a great healthy snack and the seeds can be used to plant your own trees. Carob syrup is an exceptional product which the uses are absolutely endless. Perfect for replacing sugar on breakfast cereals and with the added benefit of adding flavour, great for use as a topping on deserts or pancakes etc, add to cakes and biscuits to create a delightful taste, perfect for glazing meats and anything you could ever imagine our carob syrup will compliment and impress. Carob buttons taste just like chocolate but are much healthier because there is no caffiene or preservatives and no added sugar. Great to enjoy a naturally sweet tasting product without the guilt, you and your whole family can now enjoy a treat and feel great. Raw carob powder is achieved by putting the carob pods through a machine called a carob kibbler and this machine simply breaks the carob pod and removes the seeds, then the carob kibble is allowed to naturally dry with no added heat to the correct moisture content ready for milling, once milled it is bagged to maintain freshness. Roasted carob powder is achieved by putting the carob pods through a machine called a carob kibbler and this machine simply breaks the carob pod and removes the seeds, then the carob kibble is slowly roasted and then milled and bagged to maintain freshness. Carob kibble is achieved by putting the carob pods through a machine called a carob kibbler and this machine simply breaks the carob pod and removes the seeds, then the carob kibble is bagged to maintain freshness. Carob pods are simply in their natural form. Carob syrup is made by adding water to the carob kibble and allowing it to slowly absorb the water, then it’s simply heated to around 70*C and pressed and filtered. Carob buttons are made using roasted carob powder, ingredients used are: Low fat milk solids, palm kernel oil, emulsifier (soy lecithin) and 10% roasted carob powder. There are so many health benefits with eating carob and now having a quality taste it is sure to impress. Now everybody can enjoy the new delicious taste from The Australian Carob Co. Improves digestion (can help obesity). Lowers cholesterol level in the blood. Can be used to treat diarrhoea in children and adults. Contains an active substance that is effective against asthma. 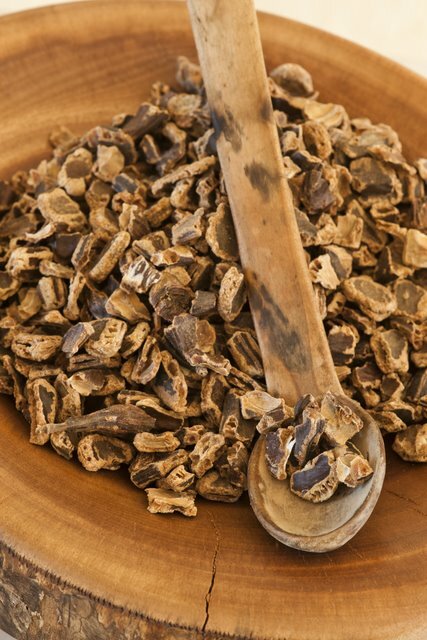 Carob is also used for asthma problems caused by allergies. It is a good expectorant. Can help to prevent lung cancer, if used regularly. Contains vitamins A, B, B2, B3 and D and is used for the treatment of cough, flu, amemia and osteoclasis. Carob tannins contain gallic acid. Gallic acid is an analgesic, can be used as an anti allergic and is antibacterial. It is also an antioxidant, antiviral and antiseptic. It is also high in potassium and magnesium and contains iron, manganese, barium, copper and nickel. It is used for the treatment of polio in children, as the gallic acid in carob tannins helps to prevent polio. It is rich in phosphorus and calcium. For this reason, it is used in the fight against osteoporosis. Helps soothe a sore throat and coughs.